The concept of trading is perhaps as old as mankind itself. The concept of virtual or online shopping came in 1979 and since then it has now reached into billions of dollars each day. The firms or stores selling their products through internet are called e-commerce stores or websites. With hundreds of stores opening each day, the competition has become cut throat and the majority of these sites fade into oblivion. Today’s online shoppers are tech savvy, choosy, and easily bored. An average site with same stagnant content does not hold the interest of shoppers. Customers want personalized treatment while shopping. When we go retail shopping we prefer the stores where the salesmen cater to our specific needs and help us. The same holds for e commerce. Want to own a successful personalized ecommerce store? These days ‘design your own website’ software is in abundance and easy to use, thus giving the business owners false sense of belief that they can design, host run, and manage their store on their own. This may be their fatal mistake. Friendly Yet Catchy Interface: The key to success of an online business is a high quality web development which is a complex procedure. So stop being meagre and hire a quality ecommerce website development firm. They will develop an attractive, user friendly, fast to load site which identifies your customers and leads. They will enable cookies to identify shopping choices of visitors, personalize brand messages accordingly, generate offers and coupons to make your customers come back for more. This will also decrease your shopping cart desertion. Future is Content: You should hire content writing services without a second thought. Perhaps the most important aspect of personalizing your store is a dynamically written content. A professional content writing service can undertake this task quite easily. It is important to greet your customers, have concept based content for your product, and take their opinions on their shopping choices so that you can personalize their visit next time. Easy to Use Ecommerce Shopping Cart Development: Once the consumer has perused through the plethora of your products, he obviously needs a gateway through which he can purchase the goods. Shopping cart accepts and updates orders, generates discounts, calculates taxes, records addresses, generates invoice and tracking mechanism and then propels the customer to payment gateway. Ecommerce website development is not an easy task. 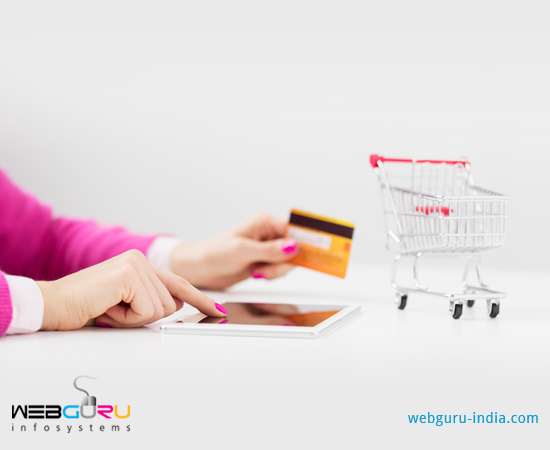 Trust your ecommerce website development company to personalize your ecommerce site for an easy and smooth transaction. Payment Gateway allows the customer to make payment through various options like COD, Credit card, Debit Card, Net banking, and so on. Last but not least is the fast, secure, and safe delivery of the product to the doorstep of your customer. Also having a live chat to identify customer’s needs and then suggesting products to them can go a long way in creating an abiding bond. So wake up, take action and have a successful personalized ecommerce store. I love to read your blog and really appreciate your words. This blog helped me measure advantages of personalizing an ecommerce business. Thanks for the amazing write up! This blog is a goldmine for e-commerce entrepreneurs. I learned new stuff, especially those intriguing facts and figures.